Ignovation: This office sculpture can charge over 50 mobile devices INDOORS! This office sculpture can charge over 50 mobile devices INDOORS! We’ve already seen shoes, meeting tables and handbags used to charge mobile devices, but it wasn’t until just recently that we had seen anything like the Electree. Mimicking the appearance of a bonsai tree, the customizable sculpture features photovoltaic panels in place of leaves, allowing it to recharge devices using just the power of light. Designed solely for indoor use, the Electree comes as a set of modules featuring 27 photovoltaic cells. Consumers assemble the sculpture themselves in any one of a virtually infinite set of possible configurations for a fully customizable appearance. Not only can the 40cm-tall sculpture’s configuration be customized, but so too can the orientation of the photovoltaic panels for maximum exposure. 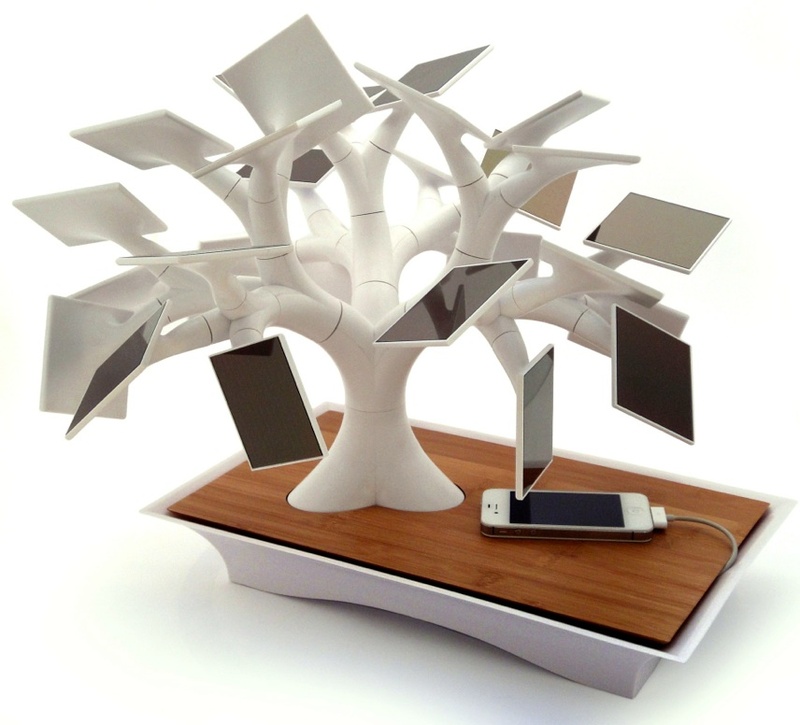 Once assembled, the Electree’s panels capture energy during daylight hours and store it in a battery hidden in the base; devices can tap into that energy via a USB port.